The fate of The Old World hangs in the balance. Heroes rise and fall as they battle the Ruinous Powers in a last desperate attempt to save the mortal realm. The Gods of Chaos only want total destruction and their victory seems inevitable. 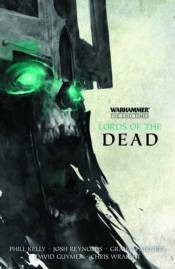 Includes the first two novels in the End Times series: The Return of Nagash and The Fall of Altdorf.